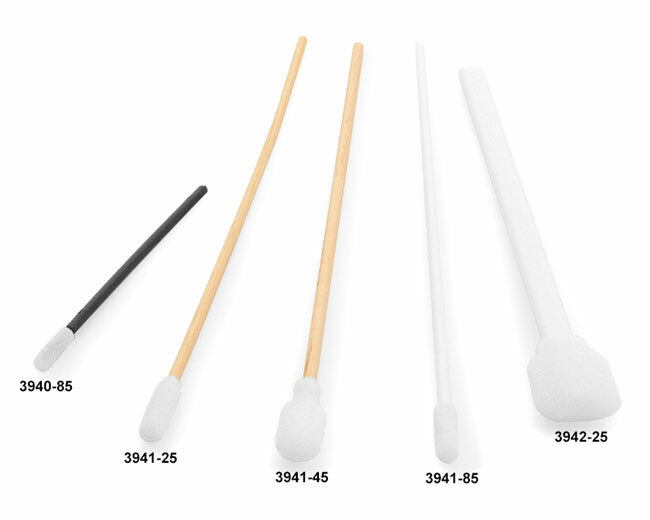 The disposable Enviro Swabs are precision molded from superior grade open cell polyurethane 100 ppi foam, consistently demonstrating low particulation and chemical cleanliness. They are non-silicone formulated, hot-wire cut and slit (not die cut and sealed). A thermally bonded head to handle eliminates the use of adhesives for maximum reliability and performance. 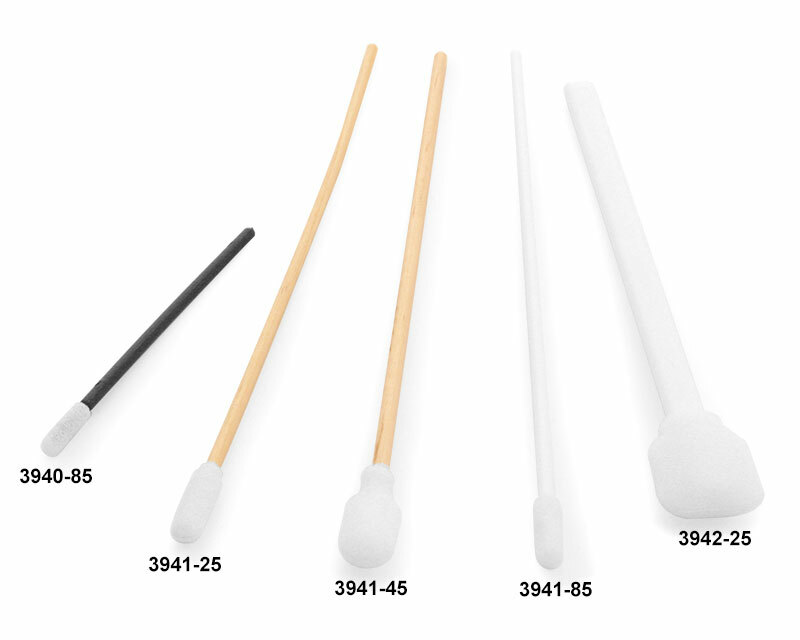 These swabs are non-linting and non-scratching. They may be used with alcohol, acetone, oils, greases and solvents and have good water absorption.